The Five Ten MoccAsym (probably) isn't quite as comfortable as the moccasin it's named after, but it will be much better for rock climbing in. 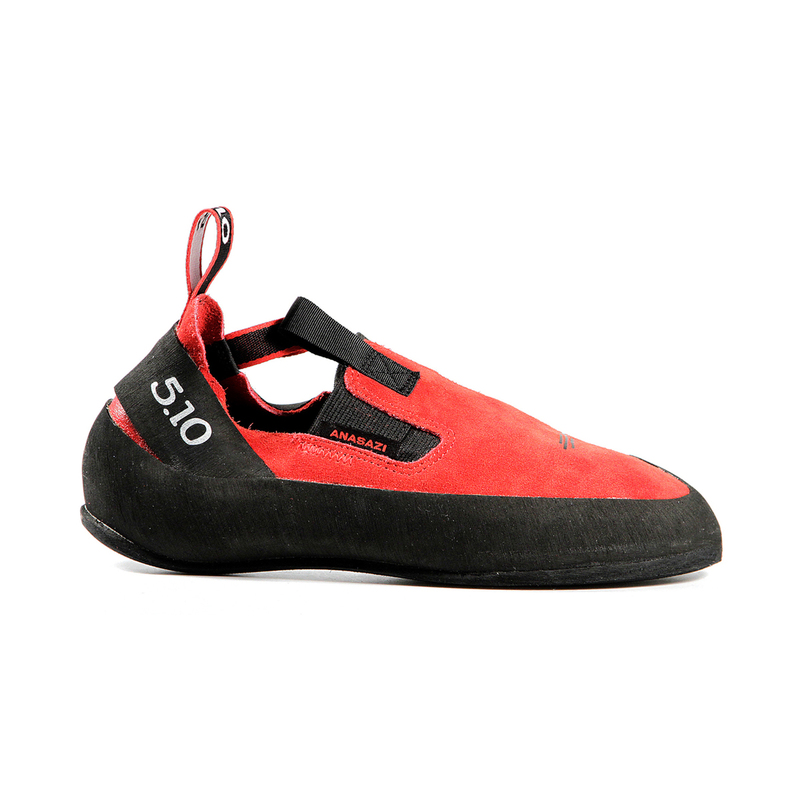 The Five Ten MoccAsym is an extremely soft and sensitive slipper climbing shoe, designed to be put on and taken off with ease whilst at the climbing gym and excel at smooth crack climbing and smearing. If you have strong feet that can handle a shoe with no midsole, put down those comfy moccasins and pick up a pair of MoccAsyms. These shoes have a lot of uses. With minimal features on top of the shoe, the MoccAsym is particularly effective at slotting into cracks. 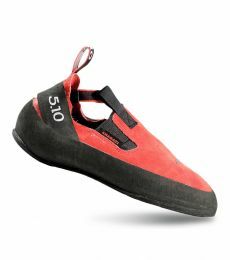 Without laces or velcro, there is nothing to snag on the rock, and no need to worry about destroying laces or velcro straps whilst crack climbing. 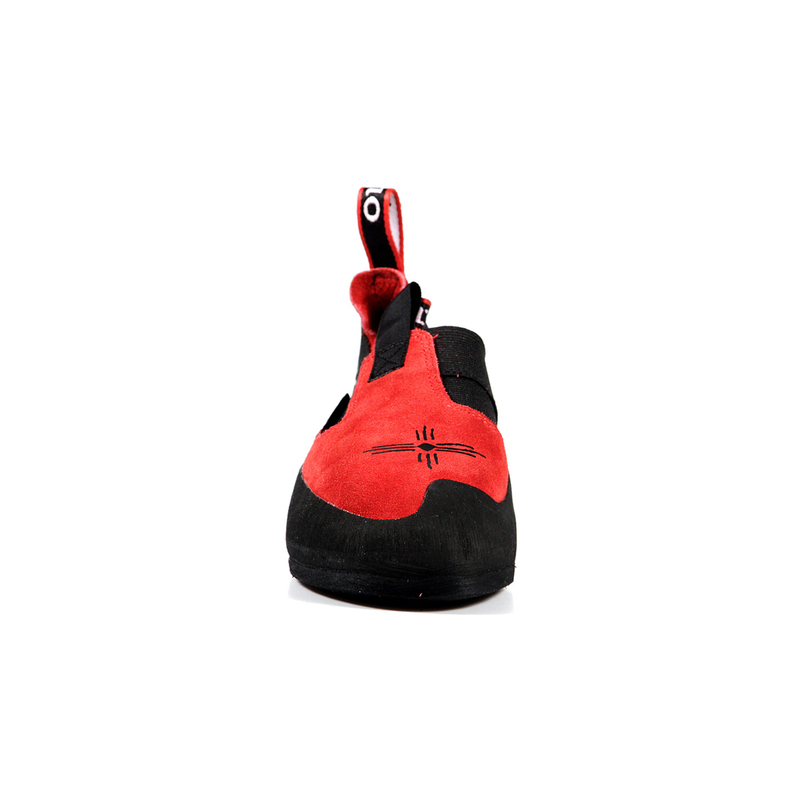 And, because the MoccAsym doesn't have a midsole, it is not only as soft as possible but as sensitive as possible too, making it ideal for both boulder gym use and any climb involving tiny holds on rock or plastic. If you have strong feet, climb on smooth cracks, or are just looking for a gym shoe that's highly sensitive, comfortable, and easy to take on and off, consider the MoccAsym. But bear in mind that the unlined leather upper will stretch up to a full size, so size appropriately. Great pair, sensitive/soft and sticky, my best gym training shoe as it has been there for about 30 years in the market. Otherwise, as I see online, the quality of the material, leather, is dramatically decreased after Adidas bought 5.10. My pair got teared after a month of moderate use for indoor climbing and a hole after 8 weeks... I still give 3 stars as the shoe is great but the quality of the upper material. Hope they resolve this issue soon as possible and continue the production of the legendary climbing shoes. The MoccAsyms are an incredibly comfortable shoe to take on multi pitch climbing. Ease to take off and put. The rubber is extraordinarily sticky on granite slabs. Highly recommend these shoes! Have to wear all day and walk down in the dark shoe? Check. If you can't tell, I'm fair fond of the MoccAsym. ...and if you needed another reason, they're pretty good value these days compared with the plethora of shoes on offer on the current market. I bought this shoe as my training shoe, because i was kind of tired of spending lots of money for dragos as only shoe. The MoccAsyms came in 40 when i have 41 in my Scarpas and 42,5 in sneakers. The first session was a painful struggle but after that they stretched pretty much. Their fit now is comfy but still tight enough. This shoe isnt made for wild hooking for sure, but they work good until a certain point. The friction on slabs and boxes is super good. You maybe will have to build up some strength in your feet, since they have no support coming from the toebox, as modern shoes have. But i got used to that quickly. The shoes have excellent grip, and I look forward to many more climbs with it! These shoes are so comfortable, and yet stick to pretty much anything. 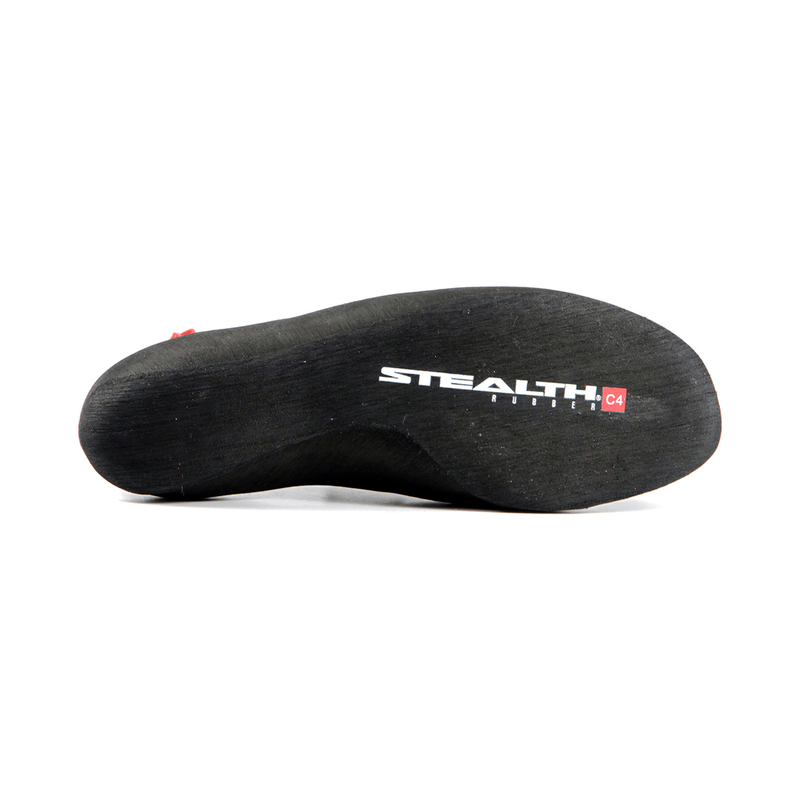 The rubber is fantastic, really easy to get power through the toe. The only con is they are woeful at heel hooks, though in many situations you can whack a toe hook on instead. I wear these for 90% of my climbing only switching to downturns for more powerful overhangs. I can't recommend them enough.